I am Professor of Linguistics at the University of Arizona, hailing from the town of Portugal Cove, in Newfoundland, Canada. My research focusses on the syntax, morphology, and lexical semantics of language. My work has appeared in various venues including Language, Linguistic Inquiry, Lingua, Journal of Linguistics, and Studia Linguistica, and many edited volumes and handbooks. I’m the author of a textbook on English word structure for Wiley/Blackwell. I’ve supervised more than 20 doctoral students since first joining the University of Arizona way back in 1999. I’ve also taught at various linguistics summer schools in the US, Germany, Mexico and Brazil, and served on the Executive Committee of the Linguistic Society of America. I'm a graduate of the MIT Department of Linguistics. My side interests include pottery, music (especially Celtic fiddle), and board games. I also enjoy camping, biking, backpacking and canoeing, and most of all spending time with my husband Art and son Jasper. Sanchez, J., Trueman, A., Leyva, M. F., Leyva, S., Tubino-Blanco, M., Jung, H., St. Amour, L., & Harley, H. B. (2017). An Introduction to Hiaki Grammar: Hiaki Grammar for Learners and Teachers, Volume I . Charleston: CreateSpace. Harley, H. B., & Siddiqi, D. (2015). Morphological Metatheory . Amsterdam: John Benjamins. Carnie, A., & Harley, H. (2014). Pronouns, Presuppositions, and Hierarchies: The Work of Eloise Jelinek in Context . Routledge. Harley, H. B. (2006). English Words: A Linguistic Introduction . Carnie, A. H., Harley, H. B., & Dooley, S. (2005). Verb First: The Syntax of Verb Initial Languages . Philadelphia: John Benjamins Publishing Company. This collection of papers brings together the most recent crosslinguistic research on the syntax of verb-initial languages. Authors with a variety of theoretical perspectives pursue the questions of how verb-initial order is derived, and how these derivations play into the characteristic syntax of these languages. Major themes in the volume include the role of syntactic category in languages with verb-initial order; the different mechanisms of deriving V-initial order; and the universal correlates of the order. This book should be of interest to scholars who work on theoretical approaches to word order derivation, typologists, and those who work on the particular grammars of Celtic, Zapotec, Mixtec, Polynesian, Austronesian, Mayan, Salish, Aboriginal, and Nilotic languages. Carnie, A. H., Harley, H. B., & Willie, M. A. (2003). Formal Approaches to Function: Papers in honor of Eloise Jelinek . Philadelphia: John Benjamins Publishing Company. The contributions making up this volume in honor of Eloise Jelinek are written from a formalist perspective that deals with stereotypically functionalist questions about language. Jelinek's pioneering work in formalist syntax has shown that autonomous syntax need not exist in a vacuum. Her work has highlighted the importance of incorporating the effects of discourse and information structure on the syntactic representation. This book aims to invoke Jelinek's work either in substance or spirit. The focus is on Jelinek's influential Pronominal Argument Hypothesis as an "non-configurational" language; the influence of discourse-related interface phenomena on syntactic structure; the syntactic analysis of the grammaticalization; interactions between morphology, phonology and phonetics; and foundational issues about the link between formal grammar and function of language, as well as the methodological issues underlying the different approaches to linguistics. Bobaljik, J., & Harley, H. B. (2017). Suppletion is local: Evidence from Hiaki. In The structure of words at the interfaces (pp 141-159). Oxford: OUP. Harley, H. B., Tubino Blanco, M., & Haugen, J. (2016). Locality conditions on suppletive verbs in Hiaki. In The morphosyntax-phonology connection: Locality and directionality at the interface (pp 91-112). Stanford: CSLI Publications. Harley, H. B. (2015). The syntax/morphology interface. In Syntax: Theory and Analysis. An international handbook. (pp 1128-1153). Berlin. : de Gruyter. Copley, B., & Harley, H. B. (2014). Eliminating causative entailments with the force-theoretic framewor. In Causation in language (pp 120-151). Oxford: Oxford University Press. Harley, H. B., & Jelinek, E. (2014). Impersonal agreement in a non-agreement language: The Hiaki impersonal construction. In Pronouns, presuppositions and hierarchies: The work of Eloise Jelinek in context (pp 375-388). Oxford: Routledge. Harley, H. B., & Tubino-Blanco, M. (2014). Sobre la opcionalidad del Causado en las causativas indirectas en yaqui. In Proceedings of X Encuentro de Lingüística en el Noroeste . Mexico: Universidad Nacional Autónoma de México. Harley, H. B., Blanco, M. T., & Haugen, J. (2014). Affixal light verbs and complex predicates in Hiaki. In Current issues in complex predicate research (pp 257-290). Tokyo: Hituzi Syobo. Erin, R. O., Harley, H. B., Raffaella, F., & Bever, T. G. (2013). Evidence for the Use of Verb Telicity in Sentence Comprehension. In Syntax and its limits (pp 80-104). Oxford: OUP. Harley, H. B. (2013). Getting morphemes in order: Merger, Affixation and Head-Movement. In Diagnosing Syntax (pp 44-74). Oxford: OUP. Harley, H. B., & Stone, M. (2013). The No Agent Idioms Hypothesis. In Syntax and its limits (pp 251-273). Oxford: OUP. Harley, H. B., & Tubino Blanco, M. (2013). Cycles, Vocabulary Items and Stem Forms in Hiaki. In Distributed Morphology Today (pp 117-134). Cambridge, MA: MIT Press. Harley, H. B. (2008). Lexical decomposition in modern generative grammar. In Handbook of compositionality (pp 328-350). Oxford: OUP. Harley, H. B. (2012). Semantics in Distributed Morphology. In Semantics: An International Handbook of Natural Language Meaning, Volume 3 (pp 2151-2172). Berlin: Mouton de Gruyter. Harley, H. B., , J. H., , M. L., & Tubino-Blanco, M. (2008). Wo'i Wakila / Skinny Coyote-A Hiaki (Yaqui) Narrative. In Inside Dazzling Mountains: Contemporary. Translations of Southwest Native Verbal Arts (pp 277-298). Lincoln: University of Nebraska Press. Harley, H. B. (2007). Thematic Roles. In The Cambridge Encyclopedia of the Language Sciences (pp 861-862). Cambridge: Cambridge University Press. Harley, H. B. (2010). A Minimalist Approach to Argument Structure. Harley, H. B. (2010). A minimalist approach to argument structure. In The Oxford Handbook of Linguistic Minimalism (pp 426-447). Oxford: OUP. Harley, H. B. (2010). Affixation and the Mirror Principle. In Interfaces in Linguistics (pp 166-186). Oxford: Oxford University Press. Tubino-Blanco, M., & Harley, H. B. (2008). Dos tipos de base verbal en Hiaki (yaqui). In Análisi lingüístico: enfoques sincrónico, diacrónico e interdisciplinario . Hermosillo, Sonora: Editorial Unison. Harley, H. B. (2006). The morphology of nominalizations and the syntax of vP. In Quantification, Definiteness and Nominalization (pp 320-342). Oxford: OUP. Harley, H. B. (2007). Compounding in Distributed Morphology. In Oxford Handbook of Compounding (pp 129-144). Oxford: Oxford University Press. Harley, H. B., , W. L., , S. K., & , S. F. (2008). Introduction to Time And Again volume in honor of Langendoen. In The Syntax, Semantics and Pragmatics of Linguistic Formalisms: Papers in honor of Terry Langendoen . Amsterdam: John Benjamins. Harley, H. B. (2006). On the causative construction. In Handbook of Japanese Linguistics (pp 20-53). Oxford: OUP. Harley, H. B. (2006). When is a syncretism more than a syncretism? Impoverishment, metasyncretism, and underspeciﬁcation. In Phi Theory: Phi-features across modules and interfaces (pp 251-294). Oxford: OUP. Harley, H. B., & Folli, R. (2006). Benefactives aren't Goals in Italian. Carnie, A. H., Dooley, S. A., & Harley, H. B. (2005). When Verbs Come First. In Verb First: On the syntax of verb-initial languages (pp 1-5). John Benjamins Publishing Co.
Harley, H. B. (2004). How do verbs get their names? Denominal verbs, Manner Incorporation and the ontology of verb roots in English. In The Syntax of Aspect (pp 42-64). Oxford: Oxford University Press. Harley, H. B., Folli, R., & Cambridge, U. o. (2004). Flavors of v: Consuming results in Italian and English. Carnie, A. H., & Harley, H. B. (2003). Formalizing Functionalism. In Formal Approaches to Function in Grammar (pp 1-8). Routledge. Carnie, A. H., Harley, H. B., & Pyatt, E. (2000). VSO order as Raising to out of IP. In The Syntax of Verb Initial Languages (pp 39-60). Oxford University Press. Copley, B., & Harley, H. (2015). A force-theoretic framework for event structure. LINGUISTICS AND PHILOSOPHY , 38(2), 103-158. Harley, H. B., & Jung, H. K. (2015). In support of the PHAVE analysis of the double object construction. Linguistic Inquiry , 46(4), 703-730. Harley, H. (2014). On the identity of roots. Theoretical linguistics , 40(3-4), 225--276. Harley, H. (2014). Reply to commentaries,“On the identity of roots”. Theoretical Linguistics , 40(3-4), 447--474. Harley, H. B. (2013). External arguments and the Mirror Principle: On the independence of Voice and v. Lingua , 125, 34-57. Harley, H. B. (2013). Feature matching and case/number disscociation in Hiaki. Revista lingüística , 9(1), 1-9. Harley, H. B., & Folli, R. (2012). The syntax of argument structure: Evidence from Italian complex predicates. Journal of Linguistics . Harley, H. B., & Lomashvili, L. (2010). Phases and templates in Georgian agreement. Studia Linguistica , 65(3), 233-267. Piattelli-Palmarini, M., Bever, T. G., Di Sciullo, A., Berwick, R. C., Wexler, K., Boeckx, C., van Gelderen, E., Harley, H. B., Uriagareka, J., Wedel, A. B., Stromswold, K., Jenkins, L., & McGilvray, J. (2010). The Biological Nature of Human Language. Biolinguistics , 4(1), 4-34. Biolinguistics aims to shed light on the specifically biological nature of human language, focusing on five foundational questions: (1) What are the properties of the language phenotype? (2) How does language ability grow and mature in individuals? (3) How is language put to use? (4) How is language implemented in the brain? (5) What evolutionary processes led to the emergence of language? These foundational questions are used here to frame a discussion of important issues in the study of language, exploring whether our linguistic capacity is the result of direct selective pressure or due to developmental or biophysical constraints, and assessing whether the neural/computational components entering into language are unique to human language or shared with other cognitive systems, leading to a discus- sion of advances in theoretical linguistics, psycholinguistics, comparative animal behavior and psychology, genetics/genomics, disciplines that can now place these longstanding questions in a new light, while raising chal- lenges for future research. Folli, R., & Harley, H. (2009). Teleology and animacy in external arguments. LINGUA , 118(2), 190-202. Harley, H. B., & Copley, B. (2009). Futurates, directors, and have-causatives.. Snippets , 1-2. Harley, H. B., & Leyva, M. (2008). Form and meaning in Hiaki (Yaqui) verbal reduplication.. International Journal of American Linguistics , 75(2), 233-72. Harley, H. B., & Folli, R. (2008). Special Issue on Perfectivity and Telicity. Lingua , 118(11). Folli, R., & Harley, H. (2007). Causation, obligation, and argument structure: On the nature of little v. LINGUISTIC INQUIRY , 38(2), 197-238. Folli, R., & Harley, H. B. (2006). On obligatory obligation: The composition of Italian causatives. Linguistic Inquiry , 38(2), 197-238. Harley, H. (2007). External arguments and the Mirror Principle: On the distinctness of Voice and v. LINGUA , 125, 34-57. Harley, H. B., & Folli, R. (2007). Causation, obligation and argument structure: On the nature of little v. Linguistic Inquiry/MIT Press . Harley, H. B., & Folli, R. (2007). Introduction: The In(ter)dependence of event structure, aspect and tense. Lingua , 118(11). Harley, H. B., & Haugen, J. (2007). Are there really two classes of instrumental denominal verbs in English?. Snippets / LED On-Line . Harley, H. B., Folli, R., & Jensen, B. (2007). Introduction: Perfectivity, Telicity and the Nordic Languages. Nordic Journal of Linguistics/Cambridge . Harley, H. B., Folli, R., & Jensen, B. (2007). Special issue on Aspect and Aktionsart: Nordic Journal of Linguistics 30.2. Nordic Journal of Linguistics , 30(2). Folli, R., & Harley, H. (2006). On the licensing of causatives of directed motion: Waltzing Matilda all over. STUDIA LINGUISTICA , 60(2), 121-155. Harley, H. B., Folli, R., & Cambridge, U. o. (2006). On the licensing of causatives of directed motion: Waltzing Matilda all over. Studia Linguistica , 60, 1-35. Harley, H. B., Folli, R., & Cambridge, U. o. (2006). What language says about the psychology of events. Trends in Cognitive Science . Carnie, A. H., & Harley, H. B. (2005). Existential Impersonals. Studia Linguistica , 59(1), 46-65. Harley, H. B., Folli, R., & Karimi, S. (2005). Determinants of event structure in Persian complex predicates. Lingua , 115(10), 1365-1401. Harley, H. B. (2004). Wanting, having and getting: A note on Fodor and Lepore 1998. Linguistic Inquiry . Harley, H. B. (2004). Why is it the CIA but not *the NASA? Acronyms, abbreviations and definite descriptions. American Speech . Harley, H., & Noyer, R. (1999). Distributed morphology. Glot international , 4(4), 3--9. Carnie, A. H., & Harley, H. B. (1997). Distinguishing the EPP and Nominative case. Penn Working Papers in Linguistics , 4(3), 71-86. Jianrong, Y., Adam, K., & Harley, H. B. (2016, Summer). Lexical category and the distribution of word-final vowels in Hiaki. In Proceedings of the 21st meeting of the Workshop on Structure and Constituency in Languages of the Americas , 295-311. Trueman, A., Harley, H. B., & St Amour, L. (2016, Spring). Implementing orthography.. In 21st meeting of the Workshop on Structure and Constituency in Languages of the America , 238-249. Smith, R. W., Nabors, R. N., Mahdavi Mazdeh, M., Karimi, S., & Harley, H. B. (2017, February). Parallelism and specificity in Persian Non-Verbal Element ellipsis. In GLOW in Asia XI , Proceedings of GLOW in Asia XI, 195-204. Copley, B., & Harley, H. (2014, August 7). Telicity is launching and atelicity is entrainment. In Dog Days In Toronto workshop , 3. Folli, R., & Harley, H. (2013, Sept 2013). Lexical vs. Functional: Complex Predicates in Italian. In NELS 41 , 1, 191--204. Harley, H. B., & Trueman, A. (2010, April). Hiaki pronominals and the typology of deficiency. In WAIL 13 , Proceedings of WAIL 13, 40-54. Harley, H. B., Haugen, J., & Tubino-Blanco, M. (2006, adf). Hybrid verb/affix lexemes in Hiaki.. In Complex Predicates Workshop . Harley, H. B., Haugen, J., & Tubino-Blanco, M. (2008, asdfdf). The syntax of hybrid verb/affix lexemes and clause fusion in Hiaki (Yaqui). In Complex Predicates Workshop . Harley, H. B., Tubino-Blanco, M., & , J. H. (2006, adfadfaf). Applicative constructions and suppletive verbs in Hiaki. In Complex Predicates Workshop . Harley, H. B. (2008). The bipartite structure of verbs cross-linguistically, or, Why Mary can't exhibit John her paintings. Harley, H. B., Haugen, J., & Tubino-Blanco., M. (2008, November). Es el sufijo -ri un nominalizador pasivo en yaqui?. In IX Encuentro de Lingüística en el Noroeste , 193-210. Harley, H. B., & Folli, R. (2005). Event-Path Homomorphism and the Accompanied-Motion Reading in Motion Causatives. Harley, H. B. (2004). Merge, Conflation and Head Movement: The First Sister Principle revisited. Harley, H. B., & Folli, R. (2004). The composition of Italian causatives. Carnie, A. H., & Harley, H. B. (1994, -). Nominally Complex Copular Structures. In Colloque Langue et Grammaire , 1, 31-45. Harley, H. B. (2018, February). Invisible Passivization . Colloquium talk. University of Utah: Linguistics Department, University of Utah. Harley, H. B. (2018, May). Invisible Passivization . Colloquim. University of California, Los Angeles: UCLA Department of Linguistics. Harley, H. B. (2018, October). Diagnosing head-movement in head-final languages . Workshop in honor of Shigeru Miyagawa. Massachusetts Institute of Technology: Workshop on Altaic Formal Linguistics. Harley, H. B. (2018, September). Words within Words: The Henry Sweet Lecture . Linguistics Association of Great Britain. University of Sheffield, Sheffield, UK: Linguistics Association of Great Britain. Harley, H. B., & Folli, R. (2018, December). Bare Phrase Structure and Talmy's generalization . Chomsky 90th birthday conference. 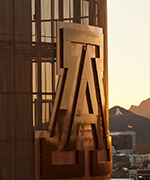 University of Arizona: University of Arizona. Florian, H., Harley, H. B., & Nelson, N. (2017, May 12). Pitch Accent in Hiaki . Workshop on American Indigenous Languages. Santa Barbara, CA: University of California, Santa Barbara. Hafner, F., & Harley, H. B. (2017, Oct). Pitch Accent in Hiaki . Friends of Uto-Aztecan. Boise State University. Harley, H. B. (2017, April). The morphophonology and morphosyntax of Hiaki bound stems . Colloquium series. University of California, San Diego. Harley, H. B. (2017, January). Types of boundaries inside complex Hiaki words . Colloquium series. University of Arizona Department of Linguistics. Harley, H. B. (2017, November). Invisible Passivization . Colloquium series. University of Calgary. Harley, H. B. (2017, Oct). Words within Words in Hiaki . Friends of Uto-Aztecan. Boise State University. Harley, H. B. (2018, June). The morphosyntax of Korean honorific suppletion and locality constraints on conditioning domains . Roots V. University College London/Queen Mary, University of London. Nelson, N., Trueman, A., & Harley, H. B. (2017, June 2). Adventures in Glossing: Mysteries of the Hiaki tense/aspect suffix –kan. . The Semantics of Verbal Morphology in Under-Described Languages. Gothenburg, Sweden: University of Gothenburg, Sweden. Harley, H. B. (2016, December). We don't need word-internal phase boundaries (for Hiaki) . Departmental colloquium. Massachusetts Institute of Technology: MIT Linguistics. Harley, H. B. (2016, Sept). What Hiaki stem forms are really telling us. . Workshop on the Status of Head Movement in Linguistic Theory. Stanford University. Harley, H. B., & Folli, R. (2016, March). A head movement approach to the manner-of-directed-motion parameter . University of Illinois, Chicago Talks in Linguistics series. Chicago: University of Illinois, Chicago. Harley, H. B., & Whelpton, M. (2016, February). Pseudopartitive compounds in Icelandic . University of Arizona SynSalon. Tucson: University of Arizona Department of Linguistics. Trueman, A., St. Amour, L., & Harley, H. B. (2016, April). Implementing orthography . 21st meeting of the Workshop on Structure and Constituency in the Languages of the Americas. Université de Québec à Montréal: UQAM. Yu, J., King, A., & Harley, H. B. (2016, April). Lexical category and the distribution of word-final vowels in Hiaki . 21st meeting of the Workshop on Structure and Constituency in Languages of the Americas. Université de Québec à Montréal: UQAM. Harley, H. B. (2015, April 25). Diagnosing Root Suppletion . Chicago Linguistic Society. Chicago: University of Chicago. Harley, H. B. (2015, December). Hiaki verbal number suppletion really is suppletion . Leipzig University Colloquium. Leipzig: Leipzig University. Harley, H. B. (2015, December). Suppressing subject arguments in Hiaki . Colloquium talk. Berlin. : Zentrum for Allgemaine Sprachwissenschaft. Harley, H. B. (2015, June 30-July 2). The consequences of root suppletion for theories of morphological locality . Roots IV. New York, NY: New York University. Harley, H. B. (2015, May 9-16). Compounding in Distributed Morphology, Discussant . Workshop On The Neural Basis of Icelandic Language Processing. Rekyavik, Iceland: University of Rekyavik. Harley, H. B. (2015, November). Hiaki verbal number suppletion really is suppletion . University of Texas, Austin Colloquium. Austin: University of Texas, Austin Linguistics Department. Harley, H. B. (2015, October). Suppressing subject arguments in Hiaki . UCSC Colloquium. Santa Cruz, CA: University of California, Santa Cruz Linguistics Department. Harley, H. B., & Copley, B. (2015, Jan 22-23). Telicity is launching and atelicity is entrainment: A formal semantic proposal . Formal Semantics meets Cognitive Semantics. Nijmegen, The Netherlands. Harley, H. B. (2014, April 25). A Revised Picture of External Argument Introduction . Workshop on Structure and Constituency in Languages of the Americas. St. John's Newfoundland Canada: Memorial University of Newfoundland. Harley, H. B. (2014, March 28). Forces instead of events in verb meaning . Cognitive Science "Brown Bag" Colloquium. University of Arizona: Cognitive Science Program. Harley, H. B. (2014, October 31). Aggressive Passives in Hiaki . North Eastern Linguistic Society. Cambridge, MA: Massachusetts Institute of Technology. Harley, H. B., & Copley, B. (2014, April 12). Modelling branching as the origin of imperfectivity in a force-theoretic framework . BRIDGE-14. Heinrich Heine University: Düsseldorf. Harley, H. B., & Copley, B. (2014, Sept 16-19). Mapping the conceptual level to the linguistic level: A theory of the progressive using both force dynamics and branching . 22nd Annual Meeting of the European Society for Philosophy and Psychology. Noto, Italy: University of Messina. Harley, H. B., & Folli, R. (2014, Dec 5). Against deficiency-based typologies: Manner-alternation parameters in Italian and English . Going Romance. Lisbon, Portugal: University of Lisbon. Carnie, A. H., Harley, H. B., & Jung, H. K. (2013, April 12). Possession, Psych Predicates and Covert Double Objects . University of Calgary Linguistics Colloquium. Folli, R., & Harley, H. B. (2013, February). Against deficiency-based typologies: Manner-alternation parameters in Italian and English . WCCFL 31. Tempe, AZ: ASU. Harley, H. B. (2013, October). The 'bundling' hypothesis and the disparate functions of little v . Little v Workshop,. Leiden, the Netherlands: University of Leiden. Carnie, A. H., Jung, H., & Harley, H. B. (2012, 2012-09-01). On the Lack of Double Object Constructions in Scottish Gaelic . New Perspectives on Celtic Syntax. University of California, Berkeley. Harley, H. B. (2012, 2012-09-01). Distributed Morphology . American International Morphology Meeting. University of Massachusetts, Amherst. Harley, H. B. (2012, 2012-11-01). Hiaki suppletion, stem classes and the organization of the morphological component . Colloquium series. Stanford University. Harley, H. B., & Blanco, M. T. (2012, 2012-05-01). Phase-theoretic mismatches in the morphology and syntax of Hiaki verb stems . Exploring the Interfaces 1: Word Structure. McGill University. Harley, H. B., & Leyva, M. (2012, 2012-03-01). Hiaki narratives of displacement and persecution: Preservation, transcription and translation . Colloquium series. University of Arizona. Harley, H. B., Trueman, A., & Leyva, M. (2012, 2012-04-01). Configurationaliy in Hiaki . Workshop on American Indigenous Languags. UCSB. Harley, H. B., Trueman, A., Jung, H. K., Leyva, M., & Leyva, S. (2012, 2012-04-01). A Teaching Grammar of Hiaki . Workshop on American Indigenous Languages. UCSB. Harley, H. B., & Copley, B. (2011, 2011-05-01). Forces: The Framework . CNRS Pouchet, Paris, France. Harley, H. B., & Folli, R. (2011, 2011-10-01). An Alternative to Deficiency Approaches to the Manner-Alternation Parameter . Workshop on Verbal Elasticity. Universitat Autonoma de Barcelona. Harley, H. B., & Stone, M. (2011, 2011-02-01). The 'No Agent Idioms' hypothesis . Departmental Colloquium. Georgetown University. Harley, H. B., & Trueman, A. (2011, 2011-06-01). Case and Number Agreement in Hiaki DPs . Friends of Uto-Aztecan conference. College of Eastern Utah, San Juan Campus. Harley, H. B., & Trueman, A. (2011, 2011-07-01). Case and Number Agreement in Hiaki . Society for the Study of the Indigenous Languages of the Americas. University of Colorado, Boulder. Harley, H. B., & Trueman, A. (2011, 2011-07-01). Pronouns and Postpositions in Hiaki . Society for the Study of the Indigenous Languages of the Americas. University of Colorado, Boulder. Harley, H. B., & Trueman, A. (2011, 2011-11-01). Pronouns and Postpositions in Hiaki . Language Documentation and Linguistic Theory 3. SOAS, London. Harley, H. B. (2010, 2010-01-01). The Canonical Use Constraint, Nouns, Roots and Idiomatic Domains . Colloquium series. University of Connecticut,. Harley, H. B. (2010, 2010-06-01). Lessons from Voice Alternations in Hiaki: Scope, Morphosyntax and the Mirror Principle . Harley, H. B. (2010, 2010-07-01). Head-movement and the syntax-morphology interface . Kobe University. Harley, H. B. (2010, 2010-07-01). The syntax and argument structure of motion constructions in English . Morphology-Lexicon Forum. National Institute for Japanese Language and Linguistics, Tokyo. Harley, H. B. (2010, 2010-11-01). Does affixation matter? . Joint ASU/UA Cognitive Science Conclave. Arizona State University. Harley, H. B. (2010, 2010-12-01). On the status of UTAH in split-vP approaches to argument structure . CP Workshop in honor of Christer Platzack. Lund University. Harley, H. B., & Copley, B. (2010, 2010-07-01). On using forces instead of events in linguistic semantics . Tohoku University. Harley, H. B., & Copley, B. (2010, 2010-11-01). Force dynamics in verbal semantics: Verbs of maintaining . Interdisciplinary Workshop on Verbs: The identification and representation of verb features. Pisa, Italy. Harley, H. B., & Folli, R. (2010, 2010-10-01). Lexical vs. Functional: complex predicates in Italian . NELS 41. University of Pennsylvania. Harley, H. B., & Stone, M. (2010, 2010-10-01). Roots, selection & domains for idiomatic meaning . The End of Argument Structure Workshop. University of Toronto. Harley, H. B., & Stone, M. (2010, 2010-12-01). The No Agent Idioms Hypothesis . On Linguistic Interfaces II. University of Ulster. Harley, H. B., & Trueman, A. (2010, 2010-04-01). Hiaki pronominals and the typology of deficiency . Workshop on American Indigenous Languages. UCSB. Harley, H. B. (2009, 2009-01-01). Getting morphemes in order: Merger, Affixation and Head-movement . Diagnosing Syntax. Universities of Leiden and Utrecht. Harley, H. B. (2009, 2009-02-01). The Contextual Specification of Meaning and the Semantic Contributions of Roots: Revisiting Kratzer 1996 and Marantz 1997 . Root Bound: Roots, Late insertion, Word (non)-compositionality and other hairy matters. University of Southern California. Harley, H. B. (2009, 2009-05-01). A morphosyntactic account of the 'Latinate' ban on dative shift in English . Colloquium. University of California, Santa Cruz. Harley, H. B. (2009, 2009-06-01). Roots and Idioms . Roots: Word formation from the perspective of â€ścore lexical elementsâ€ť. University of Stuttgart. Harley, H. B. (2009, 2009-07-01). The Syntax of Argument Structure . Week-long mini-course. Federal University of Mexico, Mexico City. Harley, H. B. (2009, 2009-11-01). The Canonical Use Constraint, Nouns, Roots and Idiomatic Domains . Colloquium series. University of Maryland. Harley, H. B. (2009, 2009-12-01). Interpreting Roots . Intensive 3-day Mini-Workshop. Center for Research in Syntax, Semantics and Phonology, Brussels: University of Brussels. Harley, H. B., & Folli, R. (2009, 2009-03-01). Argument structure, applicatives and Italian -ata complex predicates . Linguistic Symposium on Romance Languages. University of Arizona. Harley, H. B. (2008, 2008-02-01). Bare roots, conflation, and the Canonical Use Constraint . NORMS workshop on argument structure. University of Lund, Lund, Sweden. Harley, H. B. (2008, 2008-05-01). Bare nouns, concepts, andthe Canonical Use Constraint . Arizona Linguistics and Anthropology Symposium. University of Arizona. Harley, H. B. (2008, 2008-05-01). Bare roots, conflation, and the Canonical Use Constraint . Syntax and Semantics Workshop. University of Calgary. Harley, H. B. (2008, 2008-05-01). Effect of definite determiners on mass/count interpretation in a novel naming task (in English adults) . Psycholinguistics Workshop. University of Calgary. Harley, H. B. (2008, 2008-05-01). The 'Latinate' ban on dative shift in English: A morphosyntactic explanation . Germanic Linguistics Annual Conference. University of Wisconsin, Madison. Harley, H. B. (2008, 2008-06-01). The 'Latinate' ban on dative shift in English: A morphosyntactic explanation . Journée d'études TEMPTYPAC. CNRS, Paris. Harley, H. B. (2008, 2008-11-01). Incorporation, bare nouns and the Canonical Use Constraint . Colloquium series. University of Southern California. Harley, H. B. (2008, 2008-11-01). Incorporation, compounding and constituency . Words Don't Come Easy workshop. University of Verona, Verona, Italy. Harley, H. B., & , J. H. (2008, 2008-01-01). Reduplication and compounding in Hiaki (Yaqui) compound verbs . Linguistic Society of America. Chicago, IL. Harley, H. B., & Tubino-Blanco, M. (2008, 2008-11-01). Verbal roots in Hiaki (Yaqui): A morphological classification. . Encuentro internacional de lingüística en el noroeste. University of Sonora, Hermosillo. Harley, H. B., & Wedel, A. (2008, 2008-02-01). Temporal vs. Constituent Structure Effects in Processing . International Biolinguistics Network. University of Arizona. Harley, H. B., , J. H., & Tubino-Blanco, M. (2008, 2008-01-01). Lexical categories and derivation in Hiaki. . Society for the Study of Indigenous Languages of the Americas. Chicago, IL. Harley, H. B., , R. F., & Tubino-Blanco, M. (2008, 2008-04-01). 'Stress strengthening' and word order in fixed-stress languages . Linguistic Symposium on Romance Languages. University of Illinois at Urbana-Champaign. Harley, H. B. (2007, 2007-01-01). What does affixation mean? Some theoretical questions raised by complex verbs in Hiaki (Yaqui). . Linguistic Society of America workshop on Endangered Languages and Linguistic Theory. Hilton, Anaheim, CA. Harley, H. B. (2007, 2007-03-01). The bipartite structure of verbs cross-linguistically (or: Why Mary can't exhibit John her paintings). . ABRALIN (Brazilian Linguistic Association). UFMG, Belo Horizonte, Brazil. Harley, H. B. (2007, 2007-04-01). External arguments: On the independence of Voice degrees and v degrees . GLOW. University of TromsĂ¸, TromsĂ¸, Norway. Harley, H. B. (2007, 2007-06-01). Affixation and the Mirror Principle . On Linguistic Interfaces. University of Ulster, Belfast, U.K..
Harley, H. B. (2007, 2007-10-01). Applicatives, causatives and the Mirror Principle: vP-external subjects and Voice . Linguistics Department colloquium series. MIT. Harley, H. B. (2007, 2007-10-01). On the difference between showing and exhibiting: Morphosyntax, morphophonology, and double objects in English . Arizona Linguistic Circle 1. University of Arizona. Harley, H. B. (2007, 2007-11-01). Applicatives, causatives and the Mirror Principle: vP-external subjects and Voice . Linguistics Department colloquium series. Cornell University, Ithaca, NY. Harley, H. B., & Folli, R. (2007, 2007-01-01). Teleology and animacy in external arguments. . Forces in Grammar Workshop. CNRS, Paris, France. Harley, H. B., & Tubino-Blanco, M. (2007, 2007-11-01). Causees in Hiaki indirect causatives: optional, obligatory, or forbidden? . Friends of Uto-Aztecan. University of Sonora, Hermosillo, Sonora. Harley, H. B. (2006, 2006-03-01). Event nominalizations and the structure of vP . Linguistics Department Colloquium Series. University of Wisconsin, Madison. Harley, H. B. (2006, 2006-03-01). Nominalizations and vP: Where are verbs made? . Internal Structure of Nominalized Clauses. Syracuse University (via web video uplink). Harley, H. B. (2006, 2006-05-01). Decomposition in DM . Workshop On Decomposition. University of TromsĂ¸, TromsĂ¸, Norway. Harley, H. B. (2006, 2006-10-01). Really external arguments: Lessons about VoiceP from Applicatives, Causatives and Impersonals in Hiaki . Linguistics Department Colloquium Series. University of California, Los Angeles. Harley, H. B. (2006, 2006-11-01). Revisiting Voice: Lessons about VoiceP from Applicatives, Causatives and Impersonals in Hiaki . Harley, H. B., Haugen, J., & Tubino-Blanco, M. (2006, 2006-03-01). Applicative constructions and suppletive verbs in in Hiaki (Yaqui) (Poster) . Complex Predicates Workshop. Rice University, Houston, TX. Harley, H. B., Haugen, J., & Tubino-Blanco, M. (2006, 2006-03-01). Hybrid verb/affix combinations in Hiaki (Yaqui) (Poster) . Complex Predicates Workshop. Rice University, Houston, TX. Harley, H. B., Haugen, J., & Tubino-Blanco, M. (2006, 2006-03-01). Reduplication in Hiaki (Yaqui) Compound Verbs and the Lexicalist Hypothesis (Yaqui) (Poster) . Complex Predicates Workshop. Rice University, Houston, TX. Harley, H. B., Haugen, J., & Tubino-Blanco, M. (2006, 2006-11-01). Yaqui -ri: A patientive nominalizer? . Encuentro internacional de lingĂĽĂ­stica en el noroeste. Universidad de Sonora, Hermosillo, Mexico. Harley, H. B. (2005, 2005-02-01). Merge, conflation, and head movement: The First Sister Principle revisited . Locality speaker series. Harvard University. Harley, H. B. (2005, 2005-02-01). The event types of bare nominals in English . Workshop on Aspect. University of Texas, Austin. Harley, H. B. (2005, 2005-03-01). Impoverishment and Underspecification . LingLunch speaker series. Massachusetts Institute of Technology. Harley, H. B. (2005, 2005-05-01). Bare Phrase Structure, Head Movement, and the First Sister Principle . University of Ulster Linguistics Speaker Speries. University of Ulster, Belfast, Northern Ireland. Harley, H. B. (2005, 2005-05-01). Underspecification, Impoverishment and Meta-paradigms: Accounting for syncretism . Cambridge University Linguistic Society Speaker Series. Cambridge University. Harley, H. B. (2005, 2005-07-01). On causative constructions . Workshop on Linguistic Theory and the Japanese Language. Massachusetts Institute of Technology. Harley, H. B. (2005, 2005-10-01). Lexical decomposition, linguistic theory, and linguistic awareness . Consciousness Center Lecture Series. Consciousness Center, University of Arizona. Harley, H. B. (2005, 2005-12-01). The count/mass properties and event types of deverbal and underived nPs in English . Workshop on QPs, DPs and nominalizations. Saarland University, SaarbrĂĽcken, Germany. Harley, H. B., & Piattelli-Palmarini, M. (2005, 2005-05-01). On Compositionality . Workshop on the Philosophy/Linguistics of James Higginbotham. Rutgers University. Harley, H. B. (2004, 2004-08-01). The Importance of Impoverishment . Social Sciences and Research Council of Canada Communication Workshop, â€śPhi-features,â€ť. McGill University, Montreal, Canada. Harley, H. B. (2004, 2004-10-01). Adger and Ramchand 2004 . SynSalon. University of Arizona. Harley, H. B., & Amarillas, M. (2004, 2004-07-01). Reduplication Multiplication: Forms and meanings in Yaqui verbal reduplication . Friends of Uto-Aztecan conference. Ignacio, CO.
Harley, H. B., & Folli, R. (2004, 2004-02-01). On the nature of little v: Causation, obligation and argument structure . 30th Incontro di grammatica generative. Venice, Italy. Harley, H. B., & Folli, R. (2004, 2004-11-01). On the nature of little v: Causation, obligation and argument structure . Workshop on Argument Structure, Center for Advanced Study in Theoretical Linguistics. University of TromsĂ¸, TromsĂ¸, Norway. Harley, H. B., & Folli, R. (2004, 2007-04-01). Event-path homomorphism and the accompanied-action reading in motion causatives . Western Conference on Linguistics. University of Southern California. Harley, H. B., & Folli, R. (2004, 2007-04-01). The composition of Italian causatives . 23rd West Coast Conference on Formal Linguistics. University of California, Davis. Harley, H. B., & Folli, R. (2004, 2007-04-01). The light verb hypothesis and the construction of syntactic meaning: Flavors of v. . Chronos VI. Geneva, Switzerland. Harley, H. B., O'Bryan, E., Bever, T., & Folli, R. (2004, 2004-03-01). Verb Event Structure Effects in On-line Sentence Comprehension. . 17th annual CUNY Conference on Human Sentence Processing. University of Maryland. Carnie, A. H., & Harley, H. B. (1997, June). The EPP, PRO, and Case in Irish . Canadian Linguistics Association. Memorial University of Newfoundland. Carnie, A. H., & Harley, H. B. (1997, June). The EPP, PRO, and Irish Clausal Architecture . Celtic Linguistics Conference 2. Dublin, Ireland. Harley, H. B., & Carnie, A. H. (1997, January). Distinguishing the EPP and Nominative Case . Linguistic Society of America Annual Meeting. Chicago. Carnie, A. H., & Harley, H. B. (1996, January). Irish VSO Word Order Revisited . Linguistic Society of America Annual Meeting. San Diego. Carnie, A. H., Harley, H. B., & Pyatt, E. (1995, June). Old Irish: A double derivation of VSO . Celtic Linguistics Conference. Dublin Ireland. Carnie, A. H., Harley, H. B., & Pyatt, E. (1994, May). The Resurrection: Raising to Comp, Evidence from Old Irish . Formal Linguistics Society of the Midwest Meeting 5. University of Illinois, Urbana-Champaign. Nabors, R. N., Kabiri, R., Karimi, S., & Harley, H. B. (2019, January). Sorani prepositional object clitics: A case of post-syntactic cliticization. . Linguistic Society of America annual meeting. Sheraton TImes Square, New York, NY: LSA. Harley, H. B., , S. K., , W. L., & , S. F. (2009). Time and Again: Papers in honor of Terry Langendoen. Harley, H. B. (2005). Bare Phrase Structure, Acategorial roots, one-replacement and unaccusativity. Harley, H. B., Carnie, A., & Dooley, S. (2004). The Syntax of V-initial Languages. Harley, H. B., Folli, R., & Cambridge, U. o. (2004). On obligatory obligation: The composition of Italian causatives..